Leia has now been REHOMED. 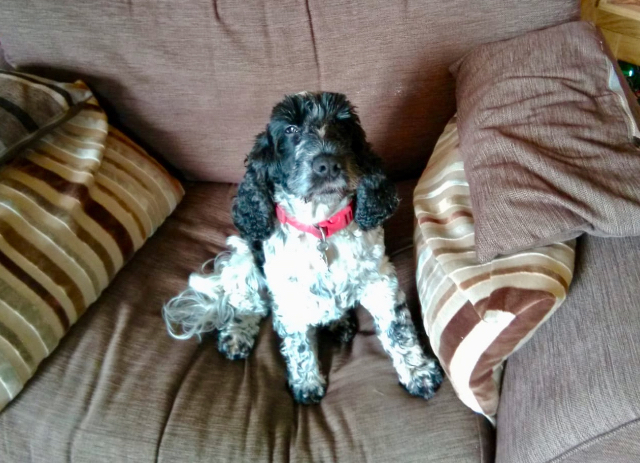 Leia is a lively spaniel who adores her ball and her off lead runs. She is a busy dog, extremely clever (she can work out how to undo bolts and simple locking mechanisms) and loves a challenge, such as hide & seek, and trailing so we think she would be great at Flyball or Agility. Leia needs a lot of exercise and a large garden, she is great on and off lead and her recall is fantastic. She has her basic commands and is clean and well behaved in the home (as long as the bin is locked away securely! ), however she does display seperation anxiety by howling when when left alone in the home therefore we are looking for a family where there is usually someone at home, or with someone who is prepared to work with her to improve her anxiety. 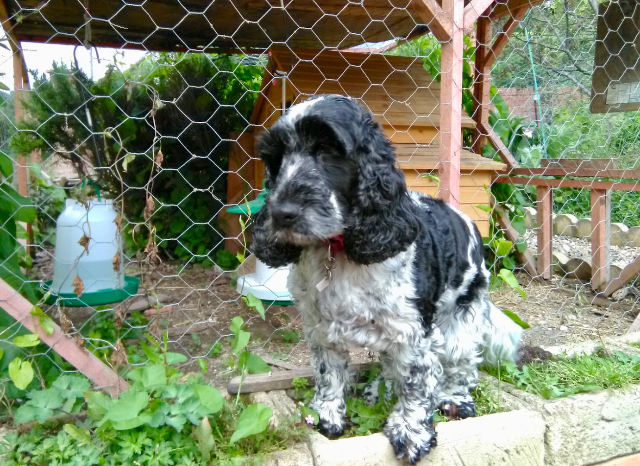 She is well socialised and is great with people, other dogs, cats and chickens and can be homed with older children, and she would love to have a friendly resident dog for a companion. 6 year old Leia is spayed, vaccinated, microchipped, flea and worm treated. If you are interested in offering Leia a home, please complete our online Adoption Form.